UFOs, Extraterrestrial Contact, Conspiracy, Exopolitics, Geopolitics, Paranormal, Crypto-zoology, Ancient History, Cutting-Edge Science & Special Guests. » Who's Disclosure is Disclosure? The narrative war is in full swing. When there's a 100 different competing narratives, how is it possible to discern a disclosure? Is it akin to which truth is Truth? 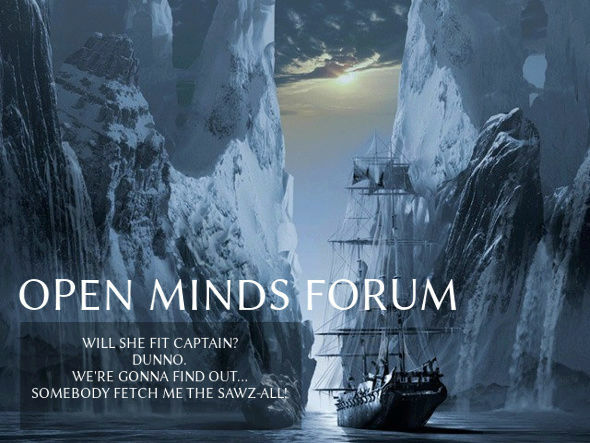 Open Minds Forum v.2 2012 - 2016. OMF continues its work on the topics of UFOs, Exopolitics, Extraterrestrial Contact, Conspiracy, Ancient History, Exotic/Cutting-edge Technologies, Cryptozoology, Special Cases, Associated Theories & Philosophies, Whistleblowers, and Sanctioned Communications.